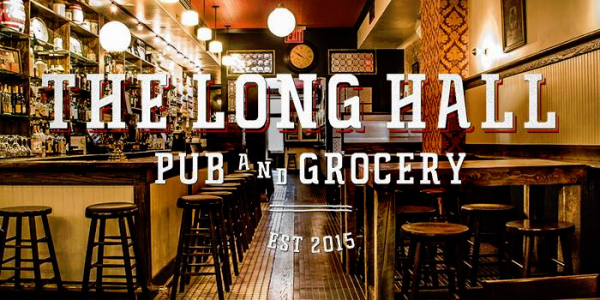 The Long Hall Pub & Grocery is a traditional Irish pub located in the heart of Midtown Manhattan on 34th St. 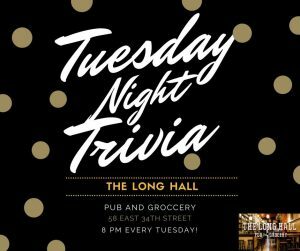 Opened in 2015, it features craft beer, a vast selection of whiskies, and a selection of Irish groceries not usually available in the U.S.
Free Trivia – 5 rounds of trivia on varying topics. 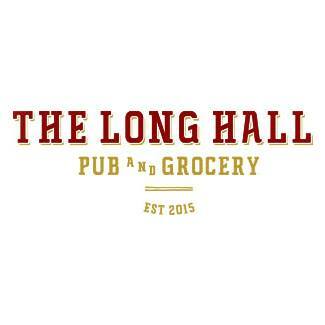 The Long Hall uses Reservation Genie to manage instant online reservations for parties up to 12. For larger parties, please call (646) 455–0777 or fill out a short form.